My name is Dave. The kids know me as Mr. Dave. 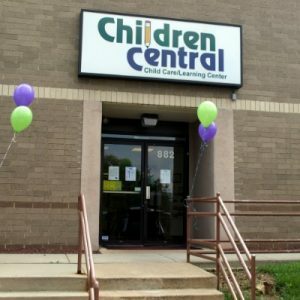 I have worked at Children Central since 1998. I was hired to make hot, nutritious meals that the children would eat. (Not an easy task). Through the years, I have been able to find a few favorites that everyone seems to like, such as my famous macaroni and cheese and baked ziti. Even the teachers have some favorites. Not only do I cook at work, but when I come home, I make all the meals for my family. I have managed and worked at many restaurants in the area including Lambertville Station, Rewards at the Northeast Racquet Club and a few others as well. I am a member of the USTA (United States Tennis Association) where I play in many leagues at a high level. I also teach tennis for the Bucks County Tennis Association, Northampton Racquet Club and the Philmont Tennis Club. I play competitive doubles with my son Corey, who is 19 years old, and mixed doubles with my wife, who is a fabulous player. (She made me say that). I am very proud that my son made the tennis team at Millersville University where he attends school. He is majoring in psychology with a minor in music. He is also an excellent violinist. My passion, though, is my love of cats. We share our home with five indoor cats and six feral cats that live outside. My family calls me the ‘cat whisperer’ because they take up so much of my time and I can communicate with them all very well. I look forward to cooking a delicious, nutritious lunch for your child!